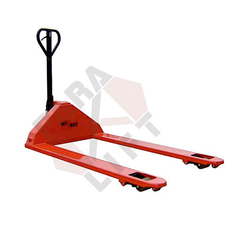 HYDRAULIC-HAND PALLET TRUCKis an exclusive range of PARALIFT with excellent designs. This is professionally designed for ideal movement of manual transport task over short distances in stores, warehouse & factory plants. The automatic slow-lowering system ensures the safety of the cargo, especially fragile cargo. For easy maintenance we have developed the two-piece hydraulic valve cartridge. We have many varriants of Hydraulic Hand Pallet Truck like, Scale Pallet Truck, Roll Pallet Truck, Extra Wide and Long Pallet Truck in both MS and SS 304 construction. 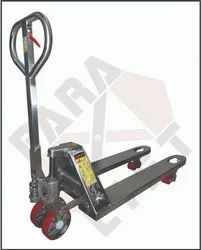 Hand Pallet Truck with excellent designs from PARALIFT. This is professionally designed for ideal movement of manual transport task Over short distances in stores, warehouse factory plants. The automatic slow-lowering system ensures the safety of the cargos, especially fragile cargos. The two piece hydraulic valve for easy maintenance. 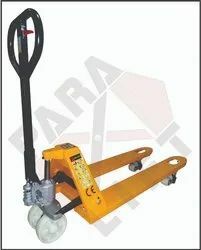 Hand Pallet truck 2 ton with excellent designs from Paralift. This is professionally designed for ideal movement of manual transport task Over short distances in stores, warehouse factory plants. The automatic slow-lowering system ensures the safety of the cargo, especially fragile cargo. The single-piece hydraulic valve cartridge for easy maintenance. 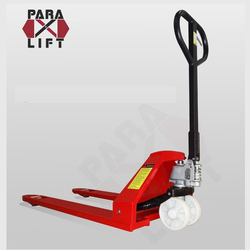 We are the leading manufacturer, wholesaler & exporters of SS 304 Hand Pallet Truck. These Pallet Trucks are ideal for meat, seafood dairy and pharmaceutical manufacturing industries. The one piece pump design simplifies repairs, assuring reliable service and long life. We are pioneers in making SS 304 Hand Pallet Truck. Inspection : Pre-inspection if any, to be done at our Works at Mira Rd., Mumbai within 72 hrs. of product readiness intimation. 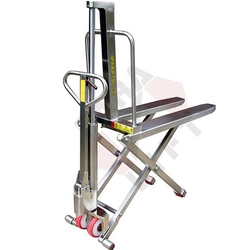 We are the leading Manufacturers, Exporters and Suppliers of Extra Lift SS Hand Pallet Truck. 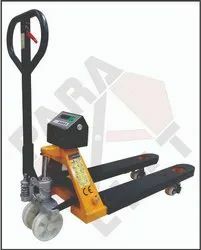 We are the leading Manufacturers, Exporters and Suppliers of Scale Pallet Truck. 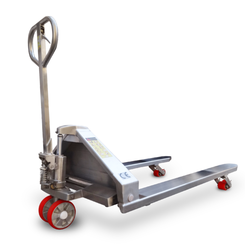 The pallet truck scale is the ideal solution for fast precise mobile weighing in industrial warehouse applications. This model is very friendly. It has keyboard calibration functional setup with automatic zero capabilities. SS Scale Pallet Truck with digital scale is an excellent economic solution to weigh your load in the confined warehouse which allows you to weigh the cargo where ever you want. This model is very user friendly. It has keyboard calibration functional setup with automatic zero capabilities. The entire truck is manufactured from 304 stainless steel making it suitable for pharmaceutical medical food service applications. 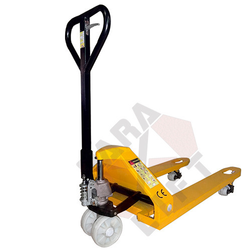 Heavy Duty Pallet Truck is manufactured using the high-grade raw material, these trucks are known for their high performance, durability, strong with wide Body construction and low maintenance. We are the leading and prominent Manufacturers, Exporters and Suppliers of Low Pallet Truck. 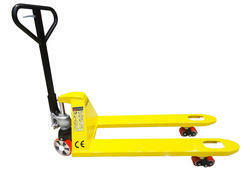 Extra Width Pallet Truck is ideal for industrial or construction applications where large or double pallets may be used. 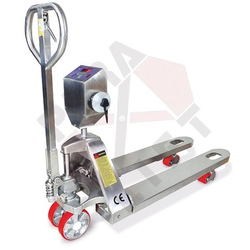 We are the leading manufacturers of Roll Pallet Truck. For handing roll of paper, carpet, textile or other material. Ensures 25% more strength than the standard fork. The truck can be used frequently in toughest conditions. Heavy duty design for moving the heavy load. Heavy duty and reinforced forks for greatest strength and durability. Roll Pallet trucks are the right choice for moving and handling any roll, reel or coil, particularly in high usage, mission critical operations where down-time can be very costly. 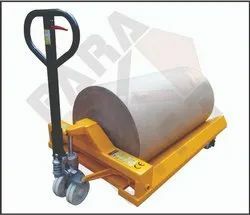 Roll Pallet Trucks are suitable for handling paper reels, textile rolls, polymer reels, carpets and other rolls. The best and most competitively priced solution for roll handling. Easy operate structural durability. High Lift Pallet Trucks is manufactured with utmost care and ensure optimum performance and high tensile strength. Our talented team of engineers has vast experience in this field, hence they always welcome customer’s suggestions and specifications to design and develop the best products. This product is widely used in packaging Industries to save time, human energy product safety. SS High Lift Pallet Trucks is manufactured with utmost care and ensure optimum performance and high tensile strength. Our talented team of engineers has vast experience of this field, hence they always welcome customer’s suggestions and specifications to design and develop the best products. This product is widely used is packaging Industries to save time, human energy product safety. 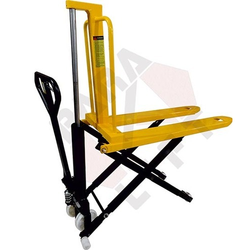 SS High Lift Pallet Truck offered to come with rollers and wheels available with coating materials like PU, Nylon, and Cast Iron.